Democrat who became a Member of the U.S. House of Representatives from California in 1991. 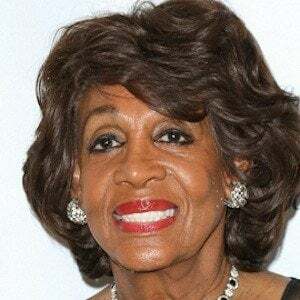 She holds four Caucus memberships and is involved in three subcommittees under the United States House Committee on Financial Services. She worked in a garment factory and as a telephone operator and later served in the California State Assembly from 1976 to 1991. She was the chair of the Congressional Black Caucus from 1997 to 1999. Her second husband is Sid Williams who played professional football in the NFL, and was the former U.S. Ambassador to the Bahamas under the Clinton Administration. She has two children. She became the ranking member of the House Financial Services Committee in 2012 when Barney Frank retired.